It is our desire to invite everyone who was with us in our senior year, and anyone who was with us in our junior year and at least one year before. (And anyone else who has been a Class of 1960 Sequoia and wants to be invited.) So far we have located 492 living class members, plus 108 who are deceased. That is 600!! 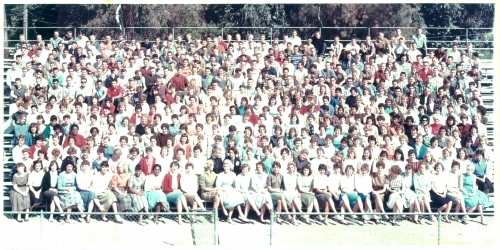 But we still have not connected with the following Class of 1960 Sequoians. Please help us! And check this page again as many will be found but others may move during the year and become "lost."